Works great in blacksmith work too , weld metal with borax. I always use it n my carpet cleaner. With laundry detergent, some fabric softner and 1/4 cup borax. It cleans carpets very well!! Just mix the borax in 3/4 cup boiling water to dissolve them add other ingredients. I and many other blacksmiths use borax as a forge welding flux... Versitle stuff! 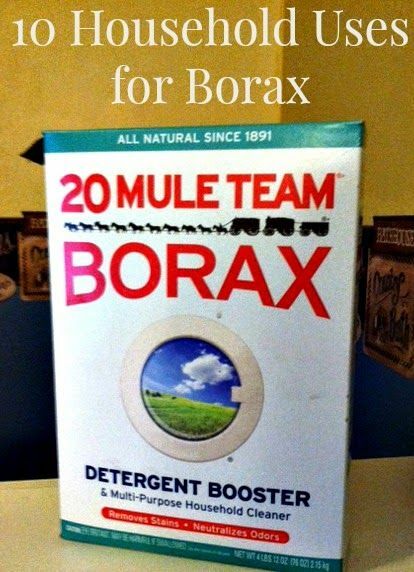 An extension to the laundry use- soak musty towels in Borax and warm water for about half an hour, then wash as usual (with or without the Borax additive). BAM. Mixed with water it kills mold, spray it on elbow grease if needed, hose it off. Terrific post! Also great for hide preservation and taxidermy, preserves and prevents bug infestation. My mother always put it in the windowsills and around the perimeter of the attic and basement to kill bugs and roaches. Mix Borax with a small quantity of sugar and your "sugar ants" will be gone ! !